Marketing bod by day, Birmingham-based runner at all other times. I’ve been running and training for several years, competing in long distance events such as 5km, 10km, half marathons and marathons. Typically, I’ll run 4 to 6 times a week – all of my training and racing can be found on Strava. 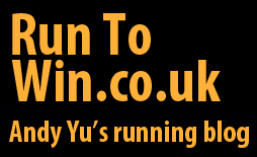 Past performances can also be found on runbritain rankings and The Power of 10. Finally, I am contactable via email, Twitter and Facebook.